On Saturday, December 17, more than 2,500 people gathered at the Alabama State Capitol and marched to the Governor’s Mansion to denounce HB56 and support its repeal. The march marked the conclusion of the Immigrant National Convention, organize by the Fair Immigration Reform Movement (FIRM) and hosted by the Alabama Immigrant Justice Coalition (ACIJ). 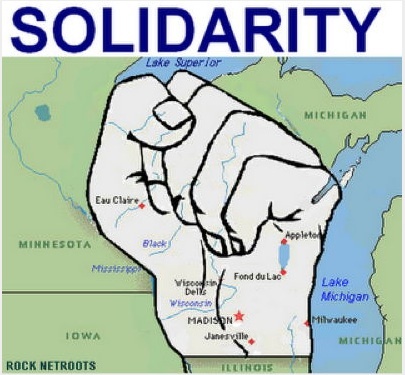 Immigrants in solidarity with Wisconsin workers! Immigrant workers in the United States know what it’s like to be unfairly pitted against workers. 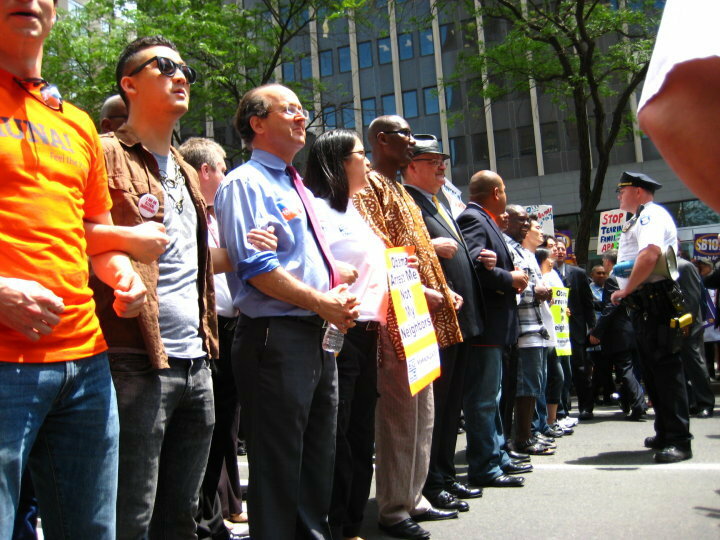 At FIRM, we believe supporting the rights of immigrants and the rights of all workers is the same struggle. In fact, studies show that immigration reform would raise the floor for all workers. And conversely, supporting the rights of workers helps all of us, including immigrants. This is why immigrant communities are rallying in solidarity with Wisconsin workers. This week, the state’s senate Republicans caught most of the world off guard by staging a late night meeting where they passed Gov. Scott Walker’s proposal that strips nearly all bargaining rights from public workers. The measure was passed despite the absence of all senate Democrats by removing all fiscal aspects of the bill, which in turn nullified the need for a quorum. Questions abound about the legitimacy of the move, but most interesting to me is this opinion from Milwaukee City Attorney Grant Langley who claims it is not constitutional. The legality may be uncertain, but what is clear is that this bill is wrong for Wisconsin. It’s wrong for workers. It’s wrong for everyone. The bill now goes to the Republican-controlled House and then to the governor’s desk for signing. Walker, of course, is anxiously awaiting it. The actions of Republicans in Wisconsin are in line with what seems to be the strategy of Republicans everywhere: divide our communities, do nothing to actually create jobs, destroy the unions who built America’s middle class, cut a thousand holes in the social programs safety net, cut funding that helps women and children, and give all breaks to the very wealthy. The good news out of Wisconsin, news every Republican thinking of emulating Wisconsin should consider, is this: the push to recall the Republican state senators is gaining momentum. It is awesome and inspiring to see the people rising up and pushing back. This is what democracy looks like! Meanwhile, if this story has your blood boiling, there is a simple way to get involved. Call Republican Gov. Scott Walker at 866-956-1737 and tell him NOT to sign this bill. Have you called your Representative yet? The House of Representatives is set to vote on the DREAM Act tomorrow. Have you called your Representative? Hello, everybody! I just got back from spending time in a NYC jail for participating in a civil disobedience action in support of immigration reform and against SB 1070 in Arizona. This is the first time I’ve participated in a civil disobedience action and the first time I’ve ever been arrested. Most of you have read my personal immigration story. I’m a U.S. citizen. 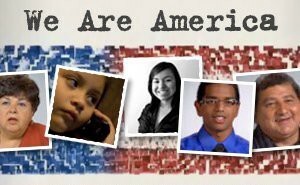 I’m the son of immigrants and a staunch ally to immigrants in all of the communities that have impacted me. My decision to engage in civil disobedience today reflects my solidarity with all immigrants, documented and undocumented, that are struggling within a set of laws that are outdated and inhumane. My decision reflects my personal frustration with Arizona’s new law and with general inaction on immigration reform on a federal level, the crazy amounts of nativism and nationalism in the immigration debate (and in my inbox) and the constant dehumanization of immigrants who are my friends, neighbors and fellow movement shakers. And I must say that a large part of my decision to make a statement and risk arrest was to rep for all those folks that cannot afford to go through our nation’s criminal justice system, despite their significant investment in immigration reform. I’m talking about undocumented immigrants, immigrants who are trans- and gender non-conforming (they separated us by perceived gender and checked IDs), and other young men and women of color (although there were quite a few today!) who are criminalized everyday. This was for them too. 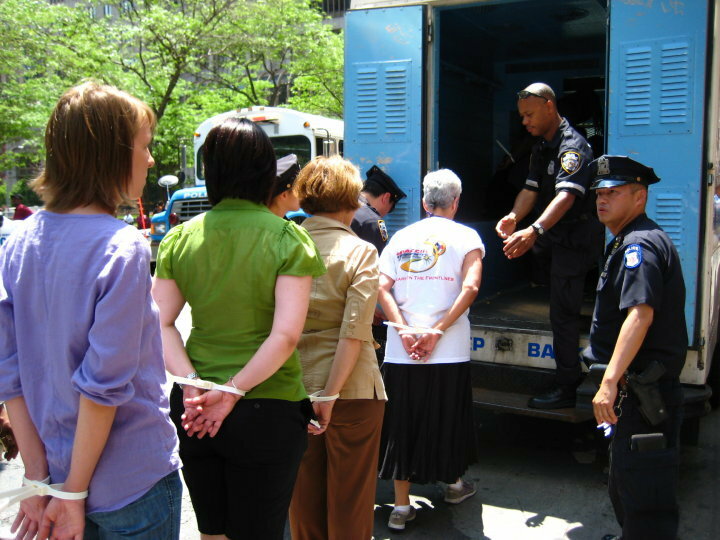 With 109 arrests, New York is playing a lead role in a national movement of nonviolent civil disobedience (as practiced by Gandhi and Martin Luther King, Jr.) for immigration reform. Recent civil disobedience actions also have taken place in Chicago, Washington, Los Angeles, Tucson, Detroit, San Francisco, and Seattle. We’ve covered some of these actions in this blog. Now let’s see if the other states can catch up! 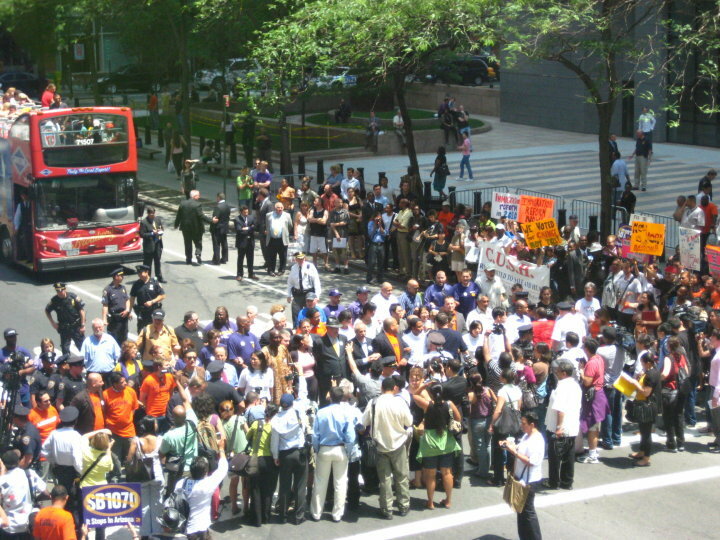 The series of civil disobedience actions in NYC began on May 17th, when 16 New Yorkers were arrested. The following week, 37 were arrested in a similar action. And today, a total of 56 people were arrested. Several elected officials were arrested in those actions: City Council Members Ydanis Rodriguez, Jumaane D. Williams, Danny Dromm and Melissa Mark-Viverito, and State Assembly Member Adriano Espaillat. Shout-outs to the New York Immigration Coalition for organizing the civil disobedience action and the Center for Constitutional Rights for providing legal support for those arrested. Photos: New York Immigration Coalition. Thanks Frances! PS — I decided to wear one of my most fabulous outfits for the action. How do I look? Have you heard of Selvin Arevalo’s story? Selvin came to Portland, Maine as a 14-year old. He was detained right after finishing high school after a minor car accident. Over the last 10 years, Selvin worked as a house painter to support his family back in Guatemala. Community members describe him as having exhibited tremendous personal growth and being an overall outstanding member of the community. “Selvin is like any one of us. He came to this country looking to better himself,” said his close friend Isai “Jessy” Galvez. “He supports his two brothers, a sister and his mother, who had open-heart surgery. If the President and Congress fail to act on immigration reform this year, many young, undocumented folks like Selvin will graduate with no future outlook, condemned to a life in the shadows. Some will even be deported to countries that they haven’t lived in for years. There’s something to be said about the economic and social capital we’d be losing from deporting folks like Selvin. Case study after case study shows that immigrants expand economic opportunity for all Americans in the long haul. And personal stories from friends of Selvin demonstrate the gains we experience as a community from immigrants. There is a petition circulating on Change.org to keep Selvin in the United States. Click on the link to sign it! Yesterday, President Obama met with Senate Republicans to lay out a legislative agenda for immigration reform. While this was a positive step, it’s ridiculous that he caved into fear-based Republican thinking by announcing that he will send 1,200 National Guard troops to the border and request an extra $500 million to secure the Mexican border. This effort is a symbolic gesture that will neither make the American people safer nor fix the broken immigration system. Instead, it rewards the obstructionists who are playing on America’s misplaced fears. Why waste time, money and resources on securing a border that is already secure? The best way to secure the border is comprehensive immigration reform. Comprehensive immigration reform, which would include provisions for border security, would provide a realistic mechanism for future legal immigration and would generate at least $1.5 trillion in cumulative GDP over ten years. And by creating a more flexible visa system, immigration reform would likely allow border patrol to focus their resources on actual threats to public safety and national security instead of pursuing those who simply come to the U.S. to work and feed their families. 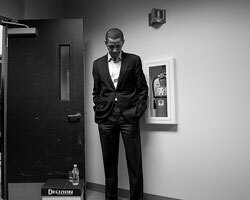 The President is caving to obstructionist political posturing. The National Guard won’t make us safer. Republicans would like us to think so but we know they are only capitalizing on the public’s misguided fear. 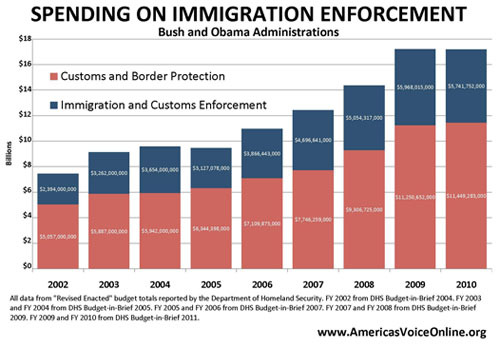 Only comprehensive reform will address the immigration issue.